Kenya and Tanzania have the most wonderful zebras. I enjoyed photographing them every chance possible. 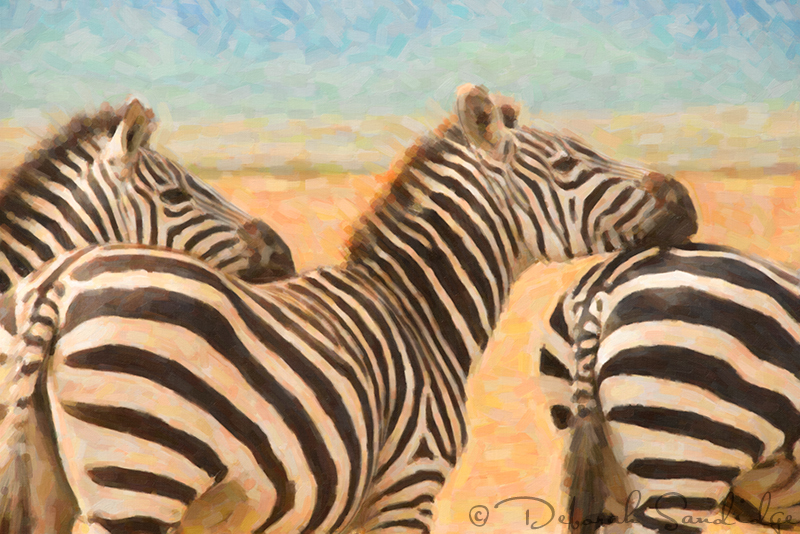 Zebras seem to lend themselves toward all kinds of artistic destinations. For this image, I used Alien Skin Snap Art, Oil Paint, Landscape with the Color Pop brush. I liked how the filter warmed up the scene and created painterly brush strokes throughout the image. Snap Art is a customizable digital art application that allows you to be creative with your photographs. Within Snap Art, each filter can be fine tuned to suit the composition, from brush size, to color, to textured media backgrounds. You can save 15% on Alien Skin Snap Art by using code DEB0902. Have fun painting, and have a great weekend!